New Delhi: Union Minister of State for External Affairs V.K. Singh on Wednesday said the surgical strikes across the Line of Control in 2016 were aimed to convey to Pakistan that India will not countenance terrorism as the new normal in bilateral relations. Addressing a press conference held here to highlight achievements of his ministry since May 2014 when the Narendra Modi government took office, Singh said India's foreign policy is based on the principle of "neighbourhood first". "Our own good faith has been amply demonstrated time and again through repeated initiatives to normalise the relationship (with Pakistan). However, as we have often stated, talks and terror cannot go together," he said. The minister said all countries in the region -- barring one -- have demonstrated their willingness to stand together against terrorism that could undermine their collective hopes. "India too has shown we will not back down in the face of assaults against security of our people, prosperity of the region and interests of the international community," the minister added. He said in the last over two years, there has been a "sustained demonstration" of the "neighbourhood first" policy and it's not only restricted to formal diplomatic engagements but demonstrated at times of distress and need. "Whether it was the water crisis in Maldives or floods in Sri Lanka, or Operation Maitri -- our largest disaster relief effort abroad -- in Nepal after the earthquake, we have extended a helping hand to all those who needed it," the minister said. 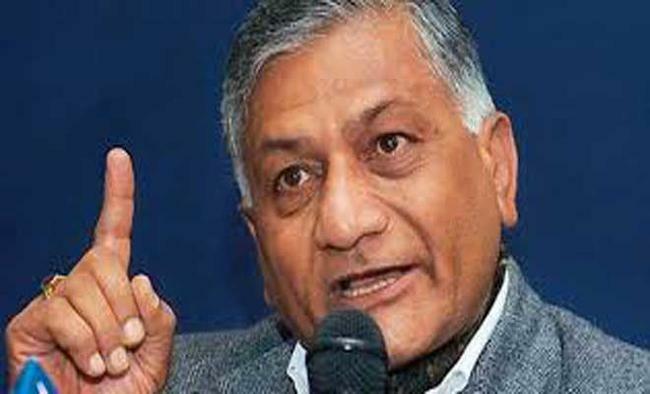 "Prime Minister Narendra Modi has travelled to almost all the countries in the region; External Affiars Minister Sushma Swaraj and me have made journeys to all of them as well," Singh said. The former Army chief, however, said India's priorities in south Asia have not distanced it from its friends and partners in other parts of the world. "The steady growth in our ties, overcoming the hesitations of history with the US, has been a matter of satisfaction as much as the consolidation of our traditional partnerships with Russia, France, the United Kingdom and the European Union," Singh said. "We continue to expand the broad range of our ties with China, particularly through people-to-people connections and the expansion of Chinese investments to India, even as we seek common ground on concerns," he added.